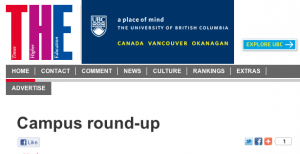 The project is also mentioned in theTimes Higher Education this week, under the title ‘Easy Rider’ (scroll towards the end of the page). 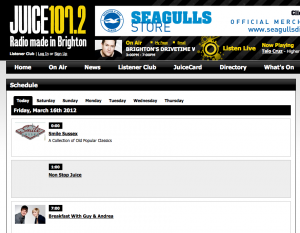 If you listened to the news (at every hour) on juice.fm today, you’ll have heard a nice, concise, summary of our project. 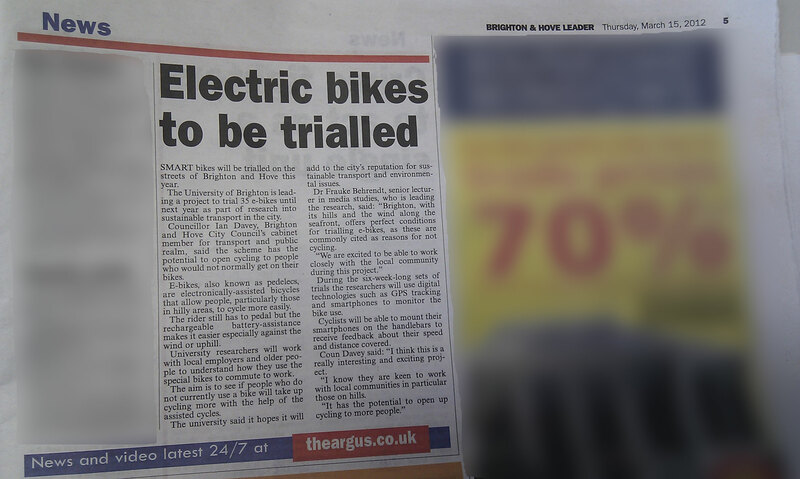 If you were up nice and early this morning, you could hear the smart e-bike project featured on BBC Sussex Radio between 6 and 9am, in several short soundbites. 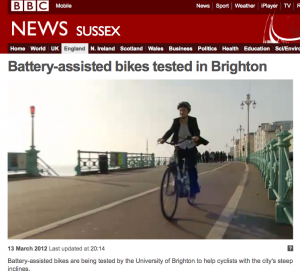 The smart e-bike research project has been featured on the BBC South East News on 13th March 2012. 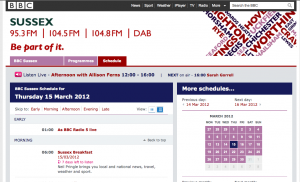 Catch it on the iplayer, on vimeo, or watch a shorter version on the BBC South East Website. 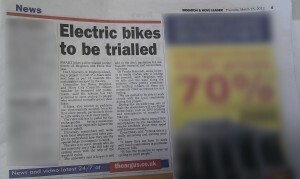 This article in ‘Ecologist’ website looks at the benefits and growing use of e-bikes. 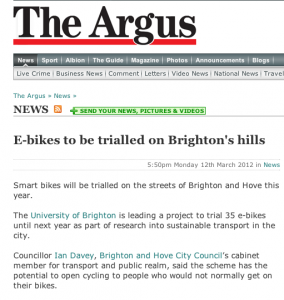 The 35 e-bikes used in this project have arrived at the University of Brighton. 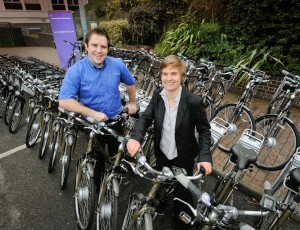 Lloyd Clarkson, the Business Development Manager E-bikes from project partner Raleigh UK Ltd has delivered the bikes to campus. 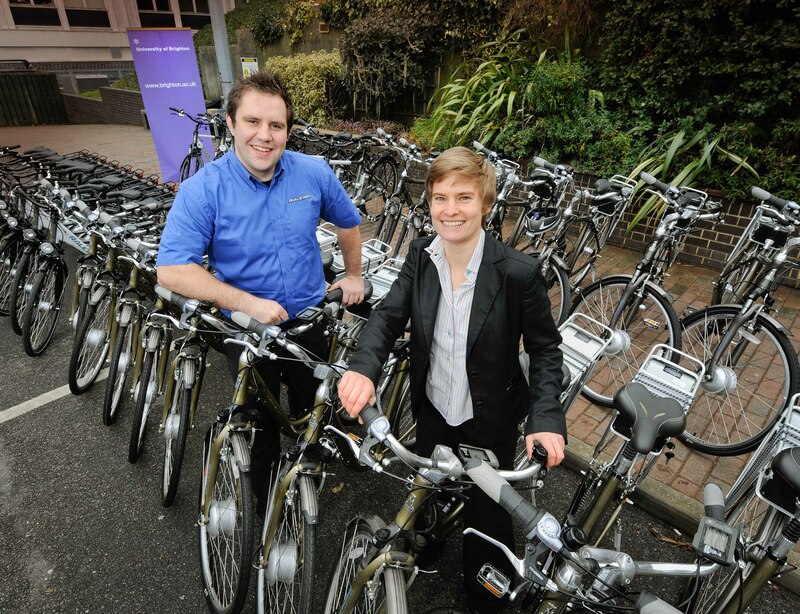 Frauke Behrendt (Project leader, Senior Lecturer in Media Studies, University of Brighton), and Lloyd Clarkson (Raleigh UK Ltd, Business Development Manager E-bikes) on the delivery day.